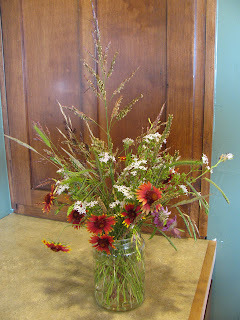 The kids and I picked these wildflowers and native grasses this afternoon. Then Maddy, Tristan, and I arranged them in a "native bouqet." I think it turned out beautifully!